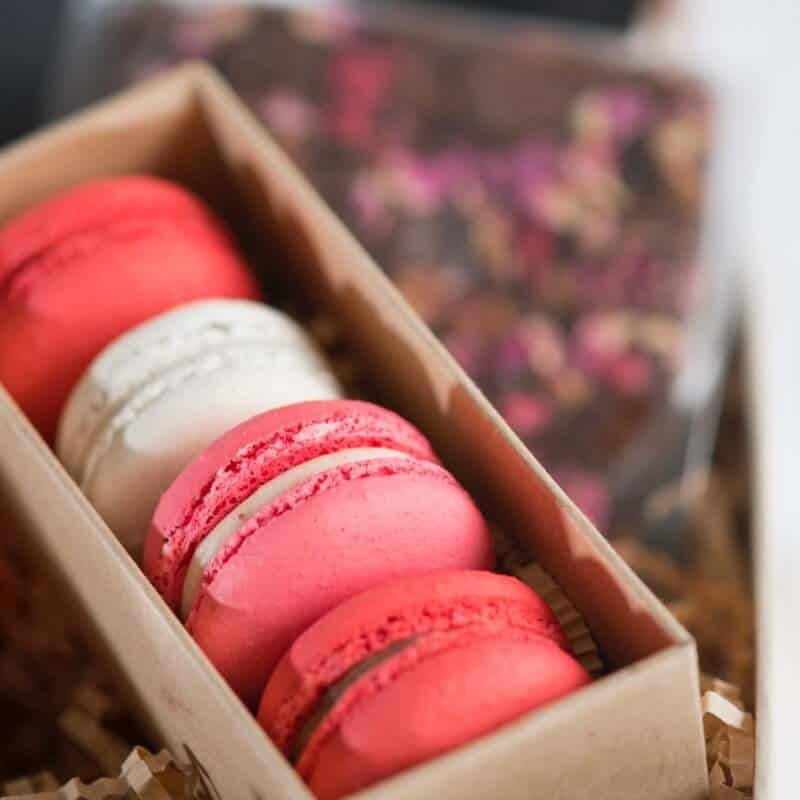 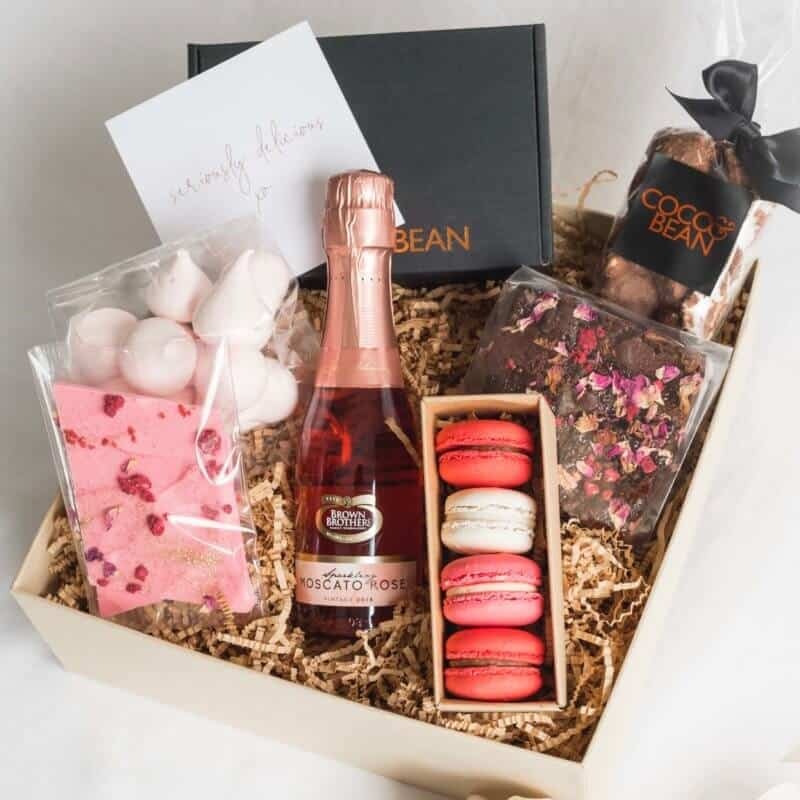 Indulge her passion for the finest with our sweet and bubbles ‘For Her’ gift hamper, filled with delectable french macarons, belgian chocolate brownies, meringue kisses, belgian chocolate bark and sparkling rose. 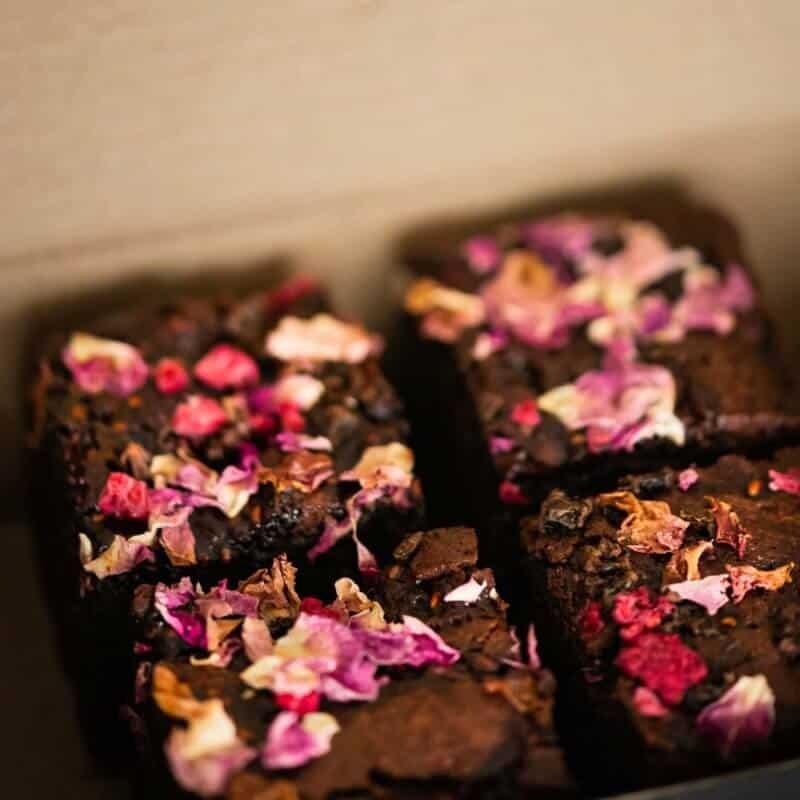 Whether you are looking for a Valentine’s Day Gift, Mother’s Day Gift, Engagement Gift, Wedding Gift or a gourmet Happy Birthday Gift box, you can be sure she will be more than delighted with your choice. 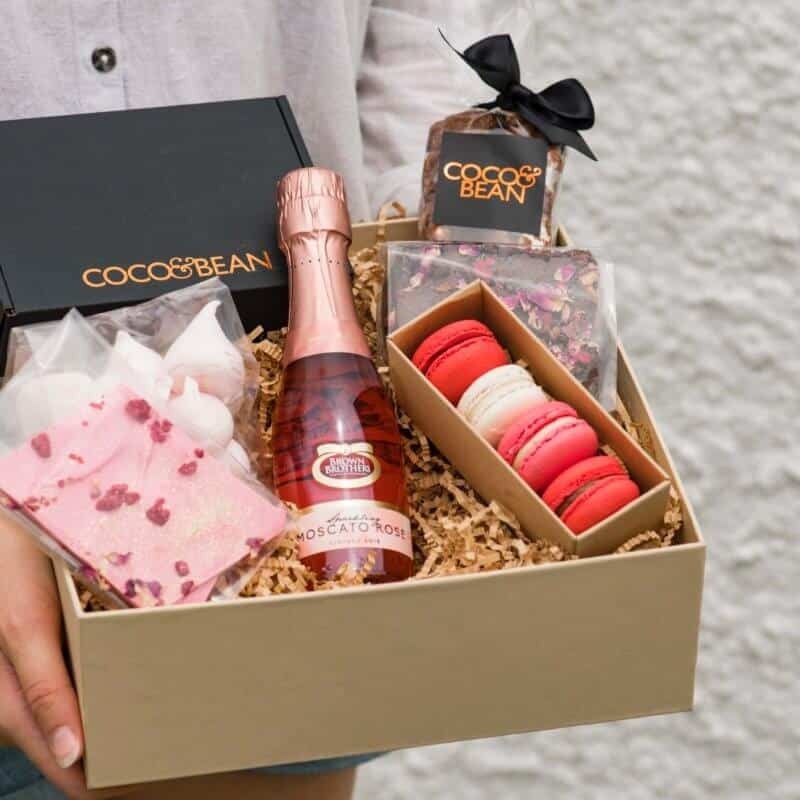 Express your love and appreciation for the special one in your life with a hamper from Coco & Bean. 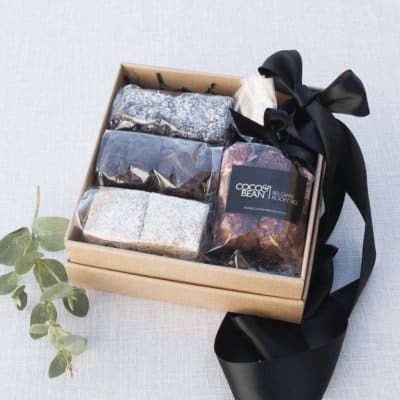 Includes a complimentary gold foil ‘seriously delicious xo’ gift card with your personal message and FREE SHIPPING Australia wide. 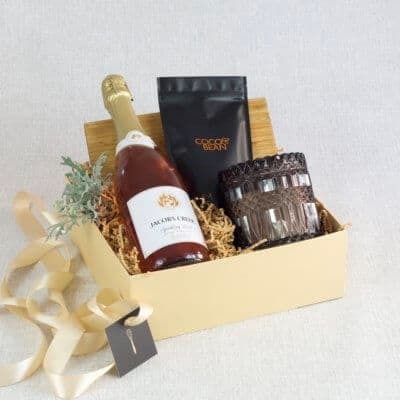 SHELF LIFE: Our productss are best enjoyed asap. 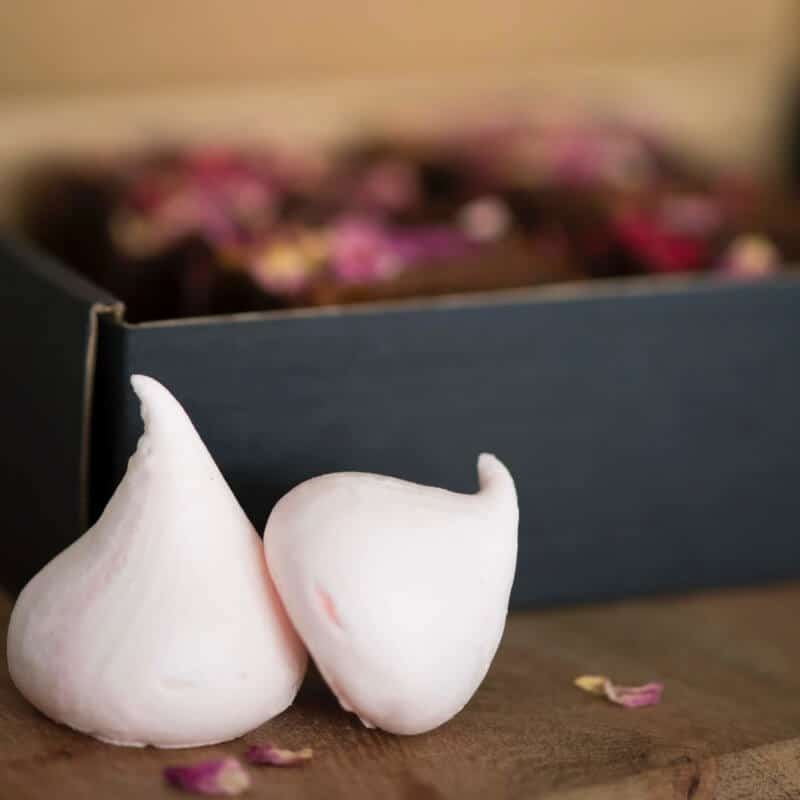 Macarons & Meringues best enjoyed within 7 days, Brownies within 2 months, Chocolate Bark within 6 months.